A traditional “mazot” is a small dwelling with no windows, but Chalet Mazot is far from that! With a Swiss cottage wood finish for that authentic feel, this chalet offers multiple balconies and excellent views of the Matterhorn. Most of the spacious bedrooms have private or en suite facilities and the dining room offers more views of the bustling streets and serves as the central communal hub for the chalet. 500 metre stroll will get you to the Gornergrat lift station. Chalet staff live on the first floor. Chalet Mazot in Zermatt is ideally placed to walk or bus to the required lift stations, although take ear plugs as revellers have a tendancy to wander past at 3am yelling loudly! The room I had was of a good size, as was the bathroom, only drawback was fluctuating water temperature if others were showering at the same time. The beds were very comfortable, although the pillows less so. The chalet does not have a separate lounge so all of the dining and socialising takes place around the dining tables - it was tight with 14 so must be quite rammed with a full chalet. Food was variable, sometimes good, sometimes ok and a few instances were not up to scratch. This may be partially due to the tiny kitchen that the hosts have to work in. 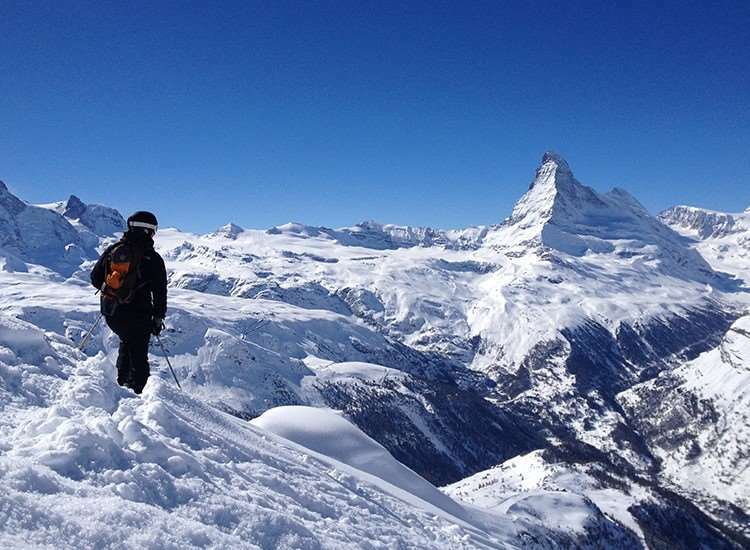 I really enjoyed the skiing in Zermatt, and prefer the social aspect of a shared chalet, so on that basis i might return to Mazot in the future as there does not seem much alternative choice in the area. Mazot is situated near the high street and has a a ski bus stop just outside taking you to the Matterhorn lift station A few minutes walk to Sunnega and Gornergrat stations. Some rooms have a balcony plus view of the Matterhorn. All have TV & hairdryer but not all have ensuite wc/sh/bath. No sitting room as such just 2 tables for max 17 people. A new Harry's Bar is opposite the Mazot but noise dies down before 9pm. More likely to be disturded by late night revelers particularly Sat night. Good food.